You’ll pay as much and more for a Land Rover Discovery, but you can depend more on the Toyota. It’ll get you just as far off road, too. A hugely capable all-rounder it might lack the cachet of Land Rover’s badge, but it’s the better buy if you need it to work every time, all the time. 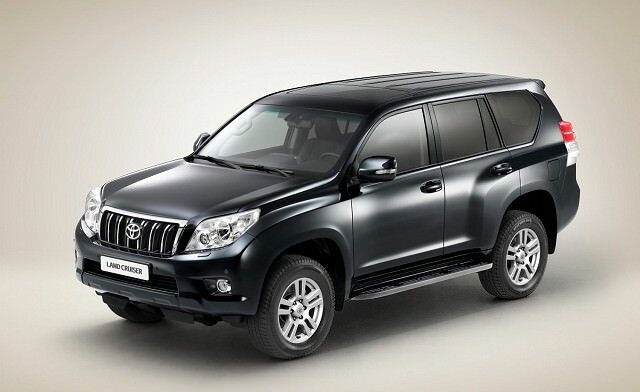 If you want a dependable, versatile 4x4 then the Toyota Land Cruiser is impossible to ignore. Respected the world over for its ability in the rough, the Land Cruiser has a solid reputation for reliability - making it the vehicle of choice for those who actually depend on their vehicles. That ability doesn’t translate to the finest performance on the road, but if you want to keep on going regardless of conditions then it’s the car to have. Nothing will get you further, with as little hassle as a Toyota Land Cruiser. Blending Toyota’s legendary reliability with off-road ability right up there with the best Land Rover can offer the Land Cruiser’s massive worldwide success is well deserved. The current model was introduced in Ireland in 2011, though you may find imported examples from as far back as 2009. This car builds on the tremendous success of the car it replaces, bringing more refinement, comfort and performance, with better economy and emissions. All that and the same off-road ability, ensuring the Land Cruiser is as dependable as ever. It’s not particularly exciting as a result, nor does it have the cachet of its key Land Rover Discovery rival, but if you were heading on an expedition it’s the Toyota you’d grab the keys for. Engine choice is limited to one four-cylinder turbodiesel with 190hp and loads of torque, the Land Cruiser is offered in long or short wheelbase models in either commercial or passenger guise - the passenger car able to seat seven. The standard transmission is a six-speed manual, but opt for the automatic and you gain Hill Assist Control and Downhill Assist Control and a more relaxing drive. A 3.0 D-4D Land Cruiser with an automatic transmission is the model to have for its combination of easy performance and driveability. Passenger cars are scarcer than commercial vehicles currently, thanks to the relative newness of the model. Specifications should be high, with LC3, LC4 and LC5 models often seen on Toyota forecourts. New it’s only offered in GX or GX auto trims.